1. First impressions are everything: When a patient walks in, the front desk should look up from their work, make eye contact, state their name and welcome the patient to the office. 2. Your waiting room is an extension of you: Make it someone’s job to walk through the waiting room at certain intervals to ensure it is always clean and tidy. This is often a great opportunity to remind patients they have not been forgotten about. If you have water, coffee or any refreshments out (which is a classy touch), they can offer this to patients at the same time. 3. Your golden marketing opportunity: Take advantage of patient’s wait time with subtle and professional marketing tactics. First, get rid of all of the trashy magazines in your office, and instead place out your own branded educational reading materials. Next, remove your clocks as no one likes to watch the time pass! 4. Waiting room should be peaceful: Move the phones so the front desk can focus on the patients in front of them, and so the people on the phones can give their full attention to each caller. 5. Amenities and branding: Branded water bottles, hand sanitizer and chapstick are inexpensive branding opportunities. You also should offer wireless internet with the login information on display. 6. Clean and branded intake forms: Make sure your logos/colors/fonts are used, reduce them to a few pages as possible, and make sure you are not using photocopies of photocopies of photocopies. 7. Cosmetic questionnaire: These are a great opportunity to cross market your services. You can use before/after pictures to make them visually appealing and even make separate forms for males and another for females. 8. Promotions on display: No one will know what specials you have available without being told! So why not display them somehow, using digital picture frames, pull-up banners, wall displays or just a small sign at the check in/out counter. 9. Menu of Services: This is one of the most important cross marketing tools, to ensure every patient understands the full scope of procedures/services available at your office. 10. Rack cards: Have separate cards for each physician and/or procedure so patients can pick and choose what they are interested in. 11. Newsletters: If you have a printed newsletter, why not also display it in your waiting room? Or make a newsletter from a few of the most recent blogs from your website. 12. Hardback picture books: These can be used during the consultation to educate patients before they even meet with the doctor. Cosmetic surgeons put a lot of time and effort into managing patient expectations about the procedure, post-op instructions and, of course, the outcome. Here’s another step to start managing patient expectations before the doctor enters the room. Ideally, that approach will include many before/after images (make sure they are cropped correctly)! 13. iPad books: This is the same concept as the hardback book, but without the printing costs. This presentation format is also much more interactive because patients will have the freedom to control their experience by browsing your content, watching videos and even entering necessary information. 14. DVD reel: Take the same content as used in the hardback or iPad book and make it into a DVD reel. This can also include media segments and is a great cross-marketing tool for someone who doesn’t want to read. 15. Display retail products: People won’t know what you sell unless they can see it! Product should be displayed where patients can walk up to touch/smell them. Testers are a great idea. You can also display packages. 16. Sell gift certificates: This is a great option for someone looking for a birthday or holiday present. Better yet, gift certificates are an automatic patient referral tool. Gift cards often go unredeemed leading to a high profit margin! 17. Ask for referrals: “The highest complement we can receive is the referral of your friends and family.” Sometimes all you have to do is ask! You can also use VIP referral cards and other incentives. 18. Ask for reviews: Everyone can always use more online reviews, so don’t forget to ask happy patients for them! Focus on the sites you need the most help with, and consider sending patients home with a card so they do not forget. 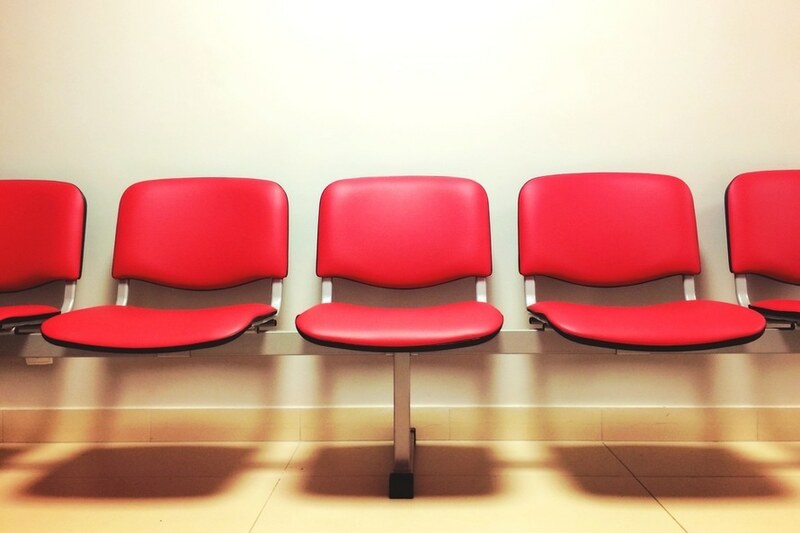 Your waiting room doesn’t have to be an inconvenience for prospects and patients. It can be an integral component of your marketing strategy and can support many of your online and outside advertising efforts. Article originally appeared in Surge magazine in 2013.